Very few knitters love finishing and assembling garments – I admit, it’s not my favourite stage either, but the satisfaction of a beautiful seam can go a long way to compensating. Even if you are studiously avoiding finishing, and decide to knit the top of a raglan sweater all in one, there is still the under-arm seam that needs to be joined. The underarm is a perfect place to get-away-with-it. This is a great place to have a cobbled together seam, very few people will check it. 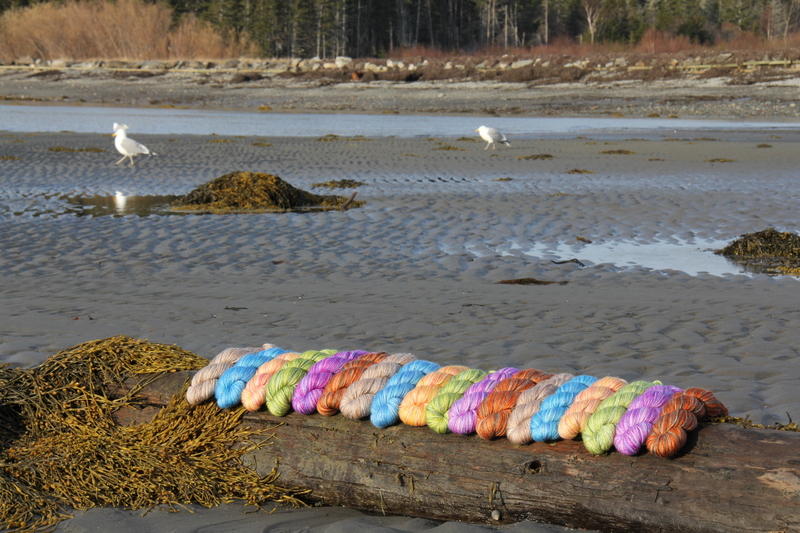 However, deep down, you will probably feel that you are letting down your otherwise impeccable knitting. Fear not: here’s a method using waste yarn flaps that will help you to join and finish the underarm beautifully! And now, how to gather and neaten the holes on either side of the grafted join. The idea of using a waste yarn flap in place of cast on stitches can be used in a number of different situations such as mitten thumbs. 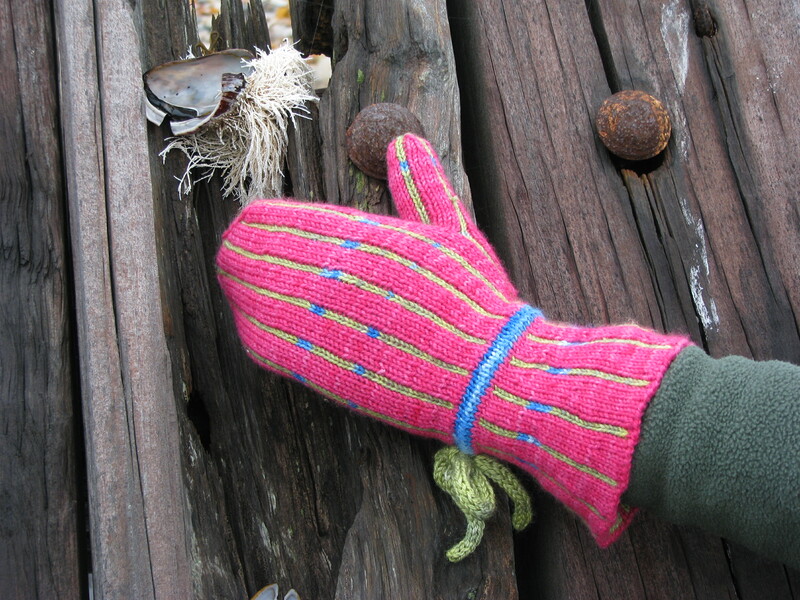 A double waste yarn flap method was used for making the double thumb on the Pinstripe Mittens. Let me of any other applications you come up with! 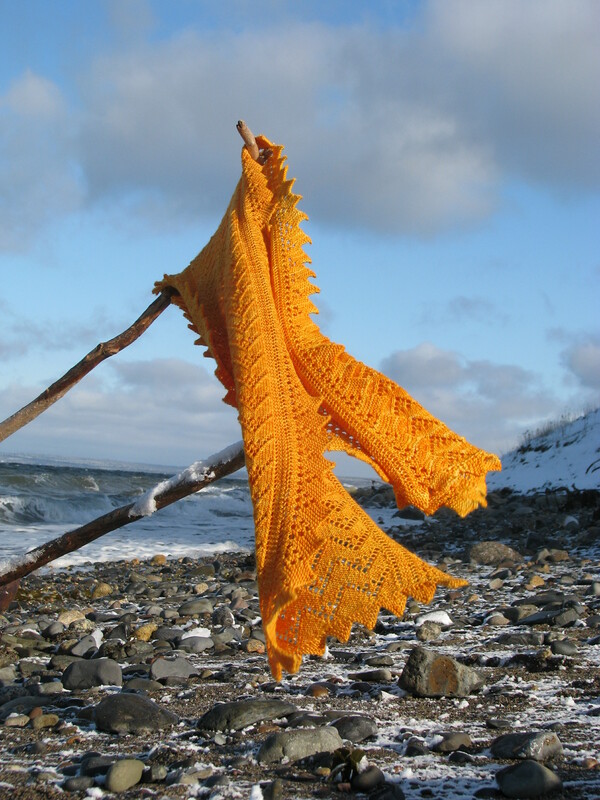 BTW Our half-price pattern of the week is the Cloud Scarf and Stole. This is an easy to finish design with integral side edgings.